THE NATIONAL LOTTERY has paid out an €8.2 million prize. The win had been shrouded in mystery since the draw in March. Despite an individual coming forward with a winning ticket, the prize money was not paid out immediately, with the National Lottery offering no clarification as to why this was the case. 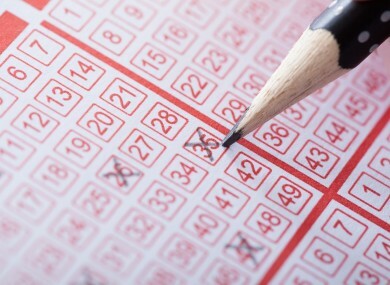 Earlier this month, a solicitor representing the ticket holder said that the issues surrounding the ticket had been resolved, and that Premier Lotteries Ireland, the licence operator for the National Lottery, had agreed to make the payment. The ticket holder has decided to remain anonymous. The winning ticket was sold at the XL Shop and Stop on Stephen Street in Sligo on 5 March. The shop, owned by retailer Matt Lyons, previously sold a €4.3 million jackpot ticket in December 2009, and has also previously sold jackpot winning Winning Streak scratchcard. The 90-day deadline for claiming the prize expired at 5.00pm this afternoon. Email “The National Lottery have paid out THAT €8.2 million prize”. Feedback on “The National Lottery have paid out THAT €8.2 million prize”.